At Schmitt Law Firm we have over 60+ years of experience as a motorcycle crash attorney. If you suffer from a motorcycle accident we can help. Our compassionate team will help you get the compensation you deserve. Because we care about you, the rider, we also want to offer these safety tips to help you stay safe on the road. Motorcycles fill the roadways during the spring and summer months. For many riders, the exhilarating experience of a motorcycle ride is unlike anything else in this world. Sadly, motorcyclists are three times more likely to be involved in a serious accident, compared to drivers in automobiles. Nearly 5,000 motorcyclists lost their lives in motorcycle crashes in 2016 and more than 88,000 people were injured. If you want to enjoy the exhilaration that you gain only when riding a bike then read on. Choose the Right Bike: A ‘Supersport’ bike is more likely to be involved in an accident than other motorcycles. It is imperative to choose the right motorcycle for your needs. When you ride the right bike, there is less risk and less worry of an accident since you will have better control of the motorcycle. 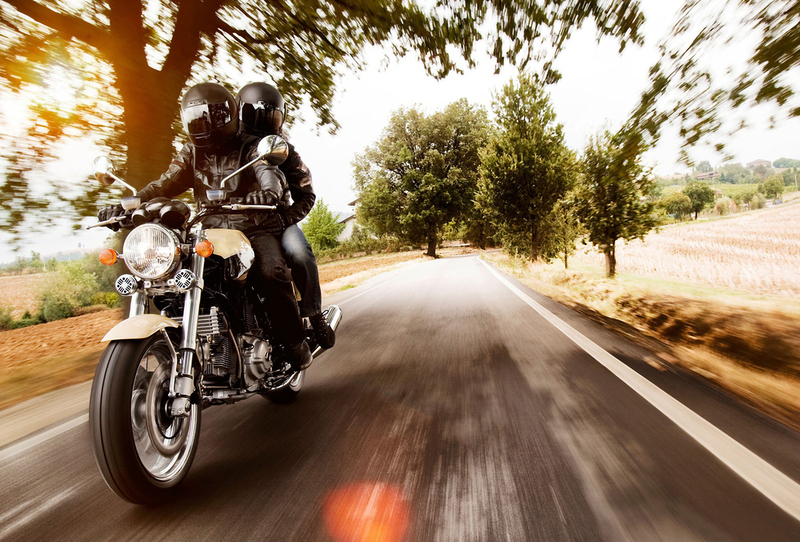 Take the time to browse the motorcycle options available to you before investing your money.Follow Rules: The rules of the road are in place for a reason. Obey these rules at all times. Always drive the speed limit, slow down when it is raining or the weather is bad and pay attention to other drivers with whom you share the road. Don’t Drink & Drive: Although it might seem like common sense, more than 1.5 million people were arrested and charged with DUI in the U.S. in 2016. Don’t assume that you are okay to drive. Always arrange a designated driver if you plan to drink, and lock the keys away from yourself! Take a Course: New riders should take a motorcycle safety class in their local area that will help them learn valuable advice, tips, and information to keep them safe. Costs of this course vary, but is reasonably priced and an extremely valuable course. This is one of the best motorcycle safety tips to follow. The NHTSA reports that almost all motorcycle-related accidents are caused by the non-motorcycle driver. If you’ve been involved in an accident, on your bike, make sure to consult a motorcycle crash attorney as quickly as possible. An attorney will ensure that your voice is heard and that justice is served in your case.